Learn proven techniques to close sales and drive business during a four-week training program offered through Cuyahoga Community College (Tri-C®) at Corporate College® East. “Mastering the Essentials of Selling” will take place over four Wednesdays between May 1 and May 22. Each interactive session runs from 8 a.m. to 10:30 a.m. at Corporate College East in Warrensville Heights. The training will be led by Marvin Montgomery, a professional sales trainer and motivational speaker with more than three decades of experience. The “Sales Doctor” is the author of Preparation and Practice: The Professional’s Guide to Sales Success. His sessions feature practice-oriented “role-play” approaches to improve sales results. The program is designed to increase effectiveness in presenting products or services; overcoming objections; and closing sales. Participants will leave with a personal action plan to implement what they learned in class. Lessons will benefit sales professionals in all fields and industries. Enrollment cost is $425. Visit www.corporatecollege.com/salestraining or call 216-987-2800 to register. Each session will begin with a continental breakfast and networking. 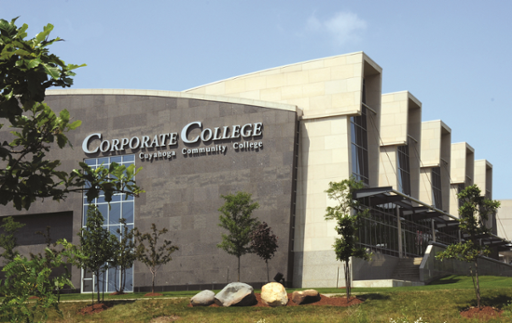 Corporate College East is located at 4400 Richmond Road. Another session of “Mastering the Essentials of Selling” will be offered in the fall. Tri-C’s Corporate College specializes in training, assessment and individual coaching services for sales professionals and managers. Training is customized to client needs to address a wide range of topics.